Scientists have developed a new technology to make prosthetic wrists and hands easier for patients to use. The technology developed by researchers from North Carolina State University in the US relies on computer models that closely mimic the behavior of the natural structures in the forearm, wrist, and hand. It could also be used to develop new computer interface devices for applications such as gaming and computer-aided design (CAD). Current state-of-the-art prosthetics rely on machine learning to create a "pattern recognition" approach to prosthesis control. This approach requires users to "teach" the device to recognize specific patterns of muscle activity and translate them into commands - such as opening or closing a prosthetic hand. 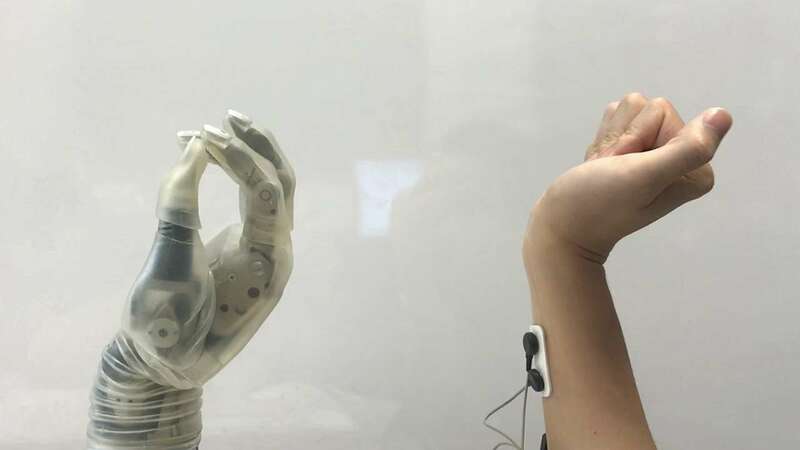 "Pattern recognition control requires patients to go through a lengthy process of training their prosthesis," says He Huang, a professor at North Carolina State University. "We wanted to focus on what we already know about the human body," said Huang. The researchers developed a user-generic, musculoskeletal model. They placed electromyography sensors on the forearms of six able-bodied volunteers, tracking exactly which neuromuscular signals were sent when they performed various actions with their wrists and hands. This data was then used to create the generic model, which translated those neuromuscular signals into commands that manipulate a powered prosthetic. "We wanted to focus on what we already know about the human body. This is not only more intuitive for users, it is also more reliable and practical," said Huang. "That's because every time you change your posture, your neuromuscular signals for generating the same hand/wrist motion change. "So relying solely on machine learning means teaching the device to do the same thing multiple times; once for each different posture, once for when you are sweaty versus when you are not, and so on. Our approach bypasses most of that," Huang said.